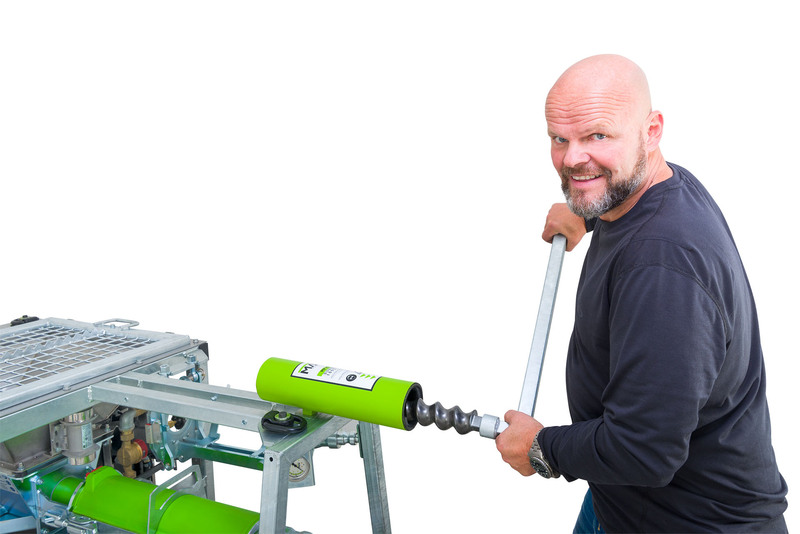 The MAI®440GE represents a new era in grouting equipment technology. This multi-purpose, high-performance mixing pump takes process security seriously, for a wide range of industrial mortar grouting projects. 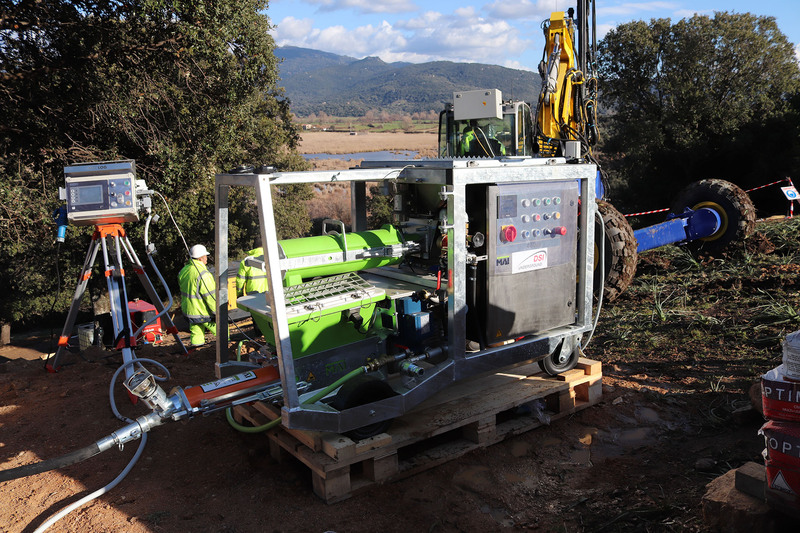 Do you want the highest quality, most flexible grouter solution for your industrial project? 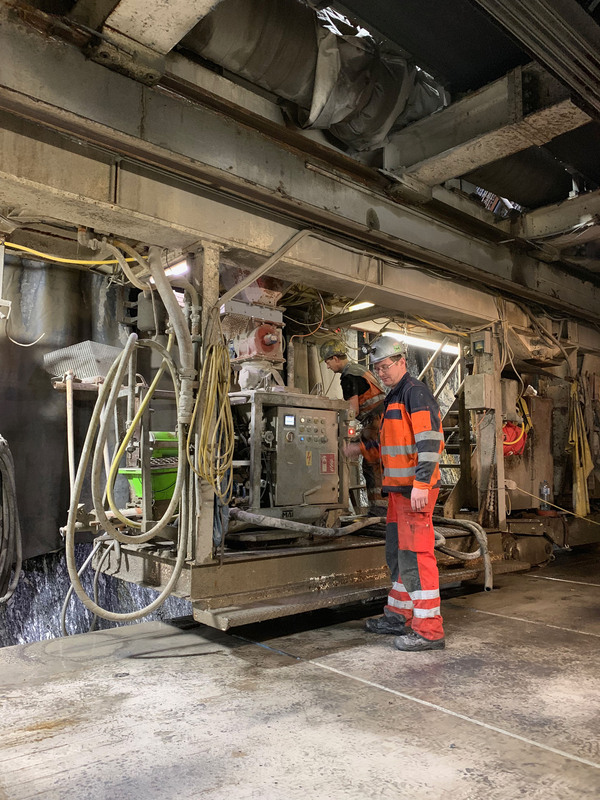 Do you need a grouting machine that allows large conveying distances and high-pressure levels even when using materials which are difficult to process? 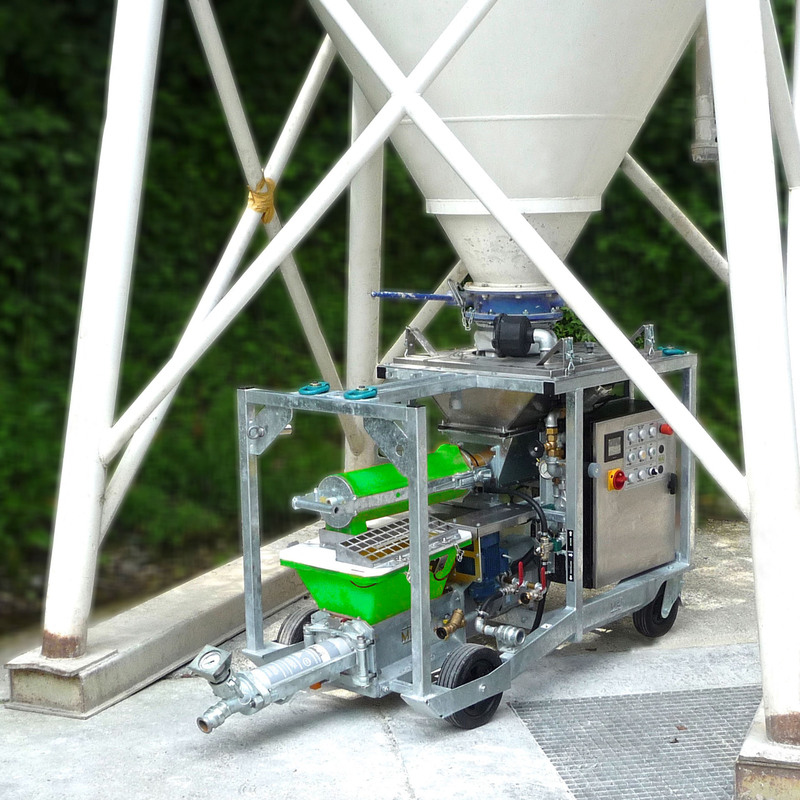 Grout mixers with the highest levels of process security? 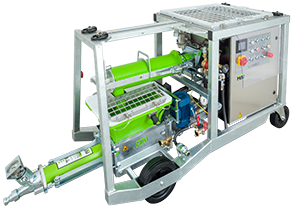 A modular mortar grouting concept that allows wet spraying with and without accelerators, and backfilling with different grouting pressure and control flow options? None of this is too much to ask! The MAI®440GE sets new standards in process security with its intelligent control system and innovative water and dry material management features. 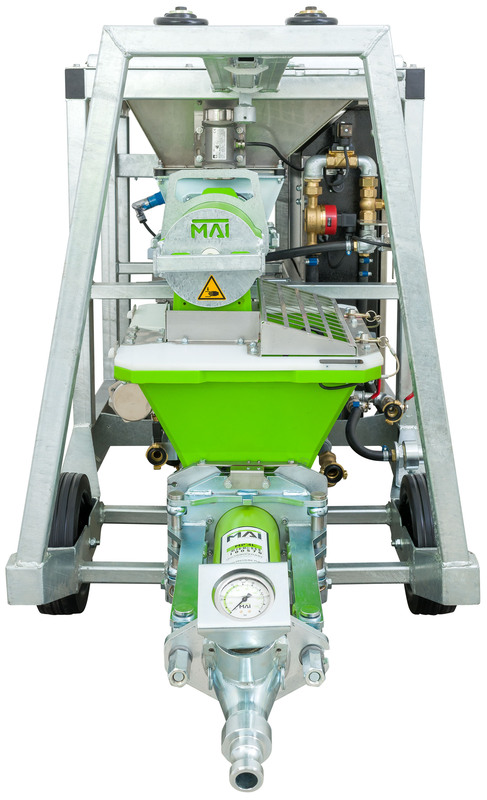 The dual mixing principle of the MAI®440GE guarantees top mixing quality and allows variable programmes for the injection system, making it suitable for almost every application. 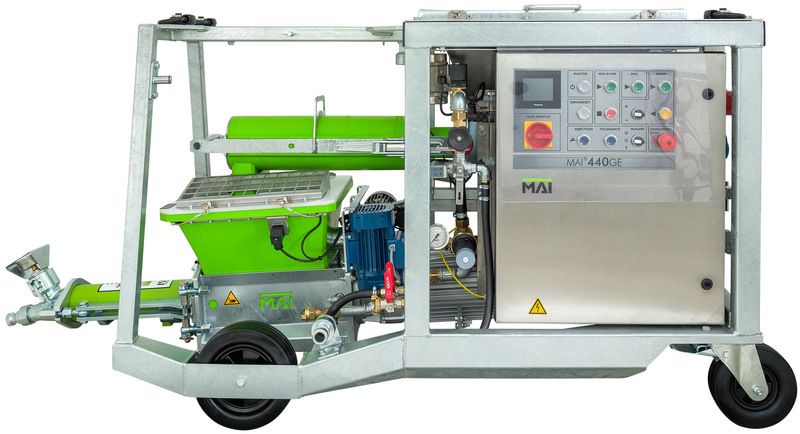 The MAI®440GE grout pump is the result of decades of experience and has been developed by professionals for professionals. 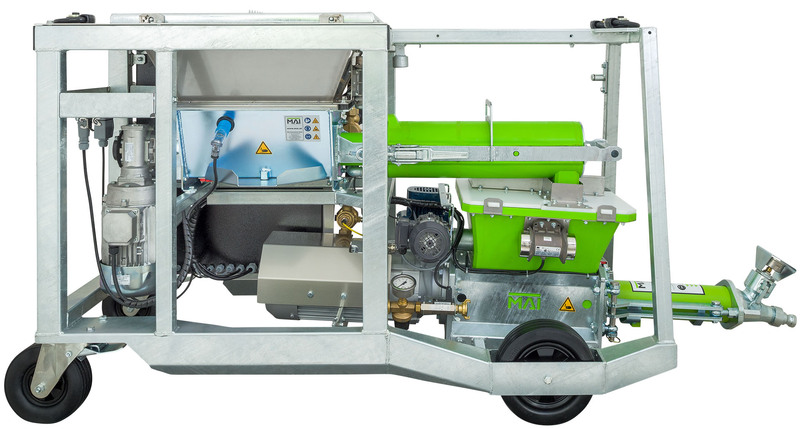 MAI has taken existing injection systems to the next level, with the goal of developing a high-performance grout pump that sets new standards in process security. The patented mixing blades guarantee a homogeneous mixing and processing quality (patent No: EP 1 768 771 B1). Constant monitoring information and the easy-to-see multilingual operating status on the display screen ensures simple operation and high process reliability. 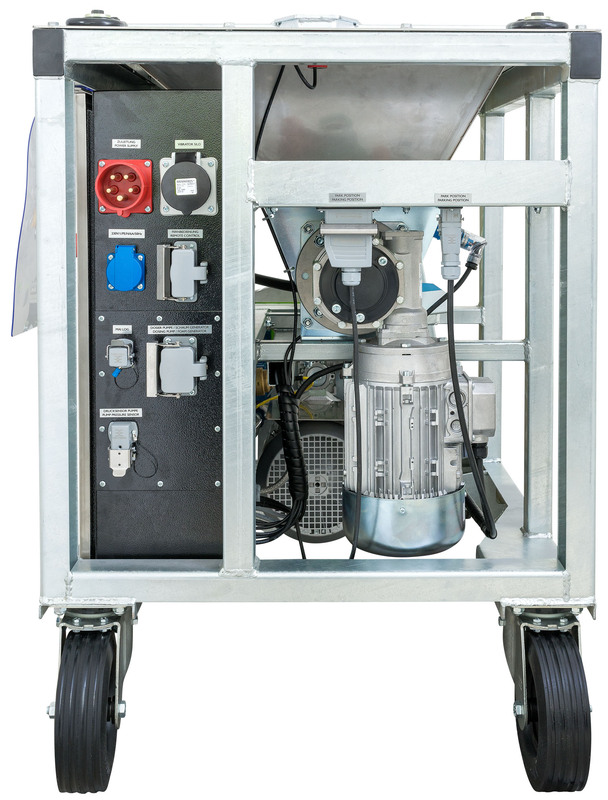 DUAL MIXING SYSTEM: The separation of mixer and pump allows variable flow rates and prevents fluctuations in consistency at high pressures and reduces screw pump wear. 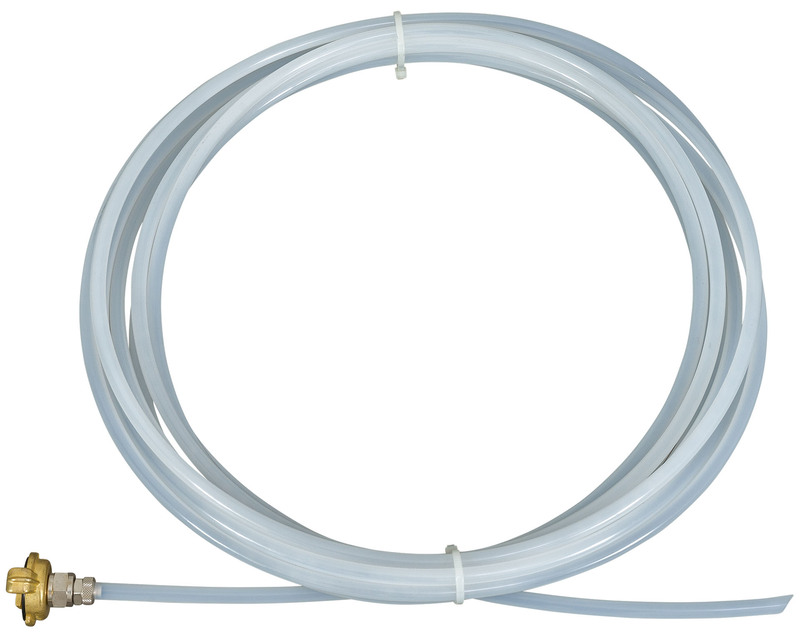 DRY MATERIAL PROBE and water tolerance monitoring guarantee a constant mixing quality (no consistency fluctuations). MIXING ZONE: The patented mixing device secures homogeneous mixing satisfying highest demands. AGITATOR prevents stiffening, segregation and tunnel formation of the mixed material in the pump hopper. 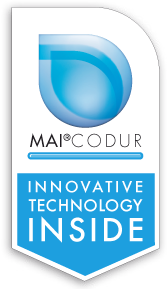 MAI®CODUR: All components in wet zones are made of highly wear-resistant plastic and can be cleaned easily and residue free. OPERATION via self-explanatory pushbuttons and switches. MULTIFUNCTION-DISPLAY informs about water settings, error messages and operating conditions and allows individual application-specific parametrisation as well as the selection of different pressure control programs and emergency running functions. 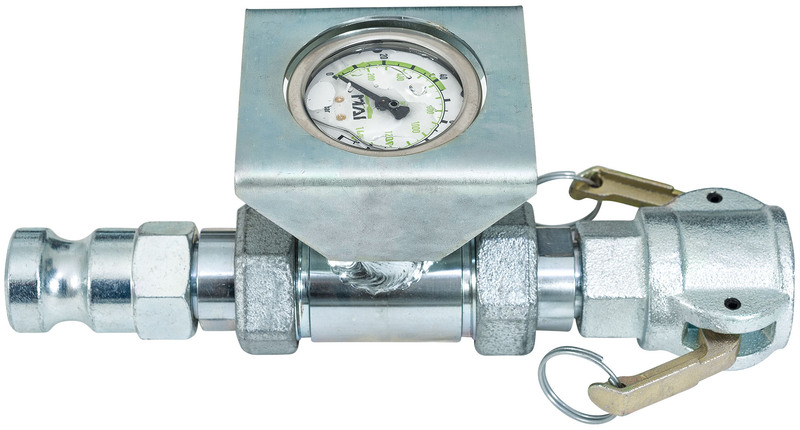 WATER SYSTEM with adaptive pressure reducer for changing job site conditions. 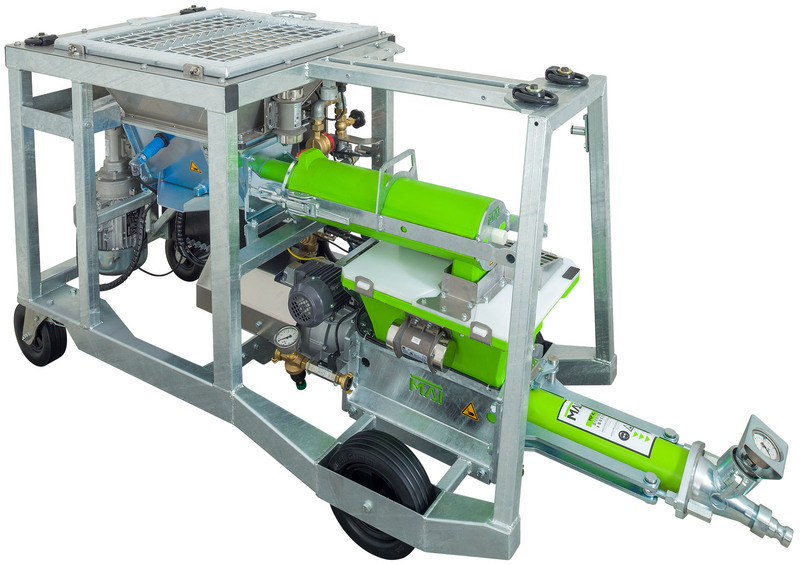 Its vertical layout enables automatic drainage and prevents frost damages. STAINLESS STEEL HOPPER guarantees high durability and corrosion protection. 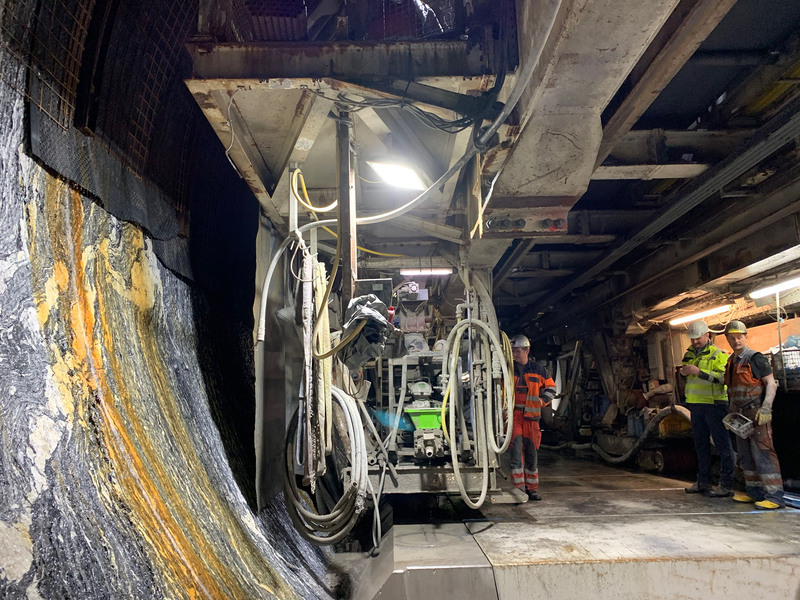 The MAI®440GE is used in a multitude of different applications in tunnelling, mining and ground engineering. 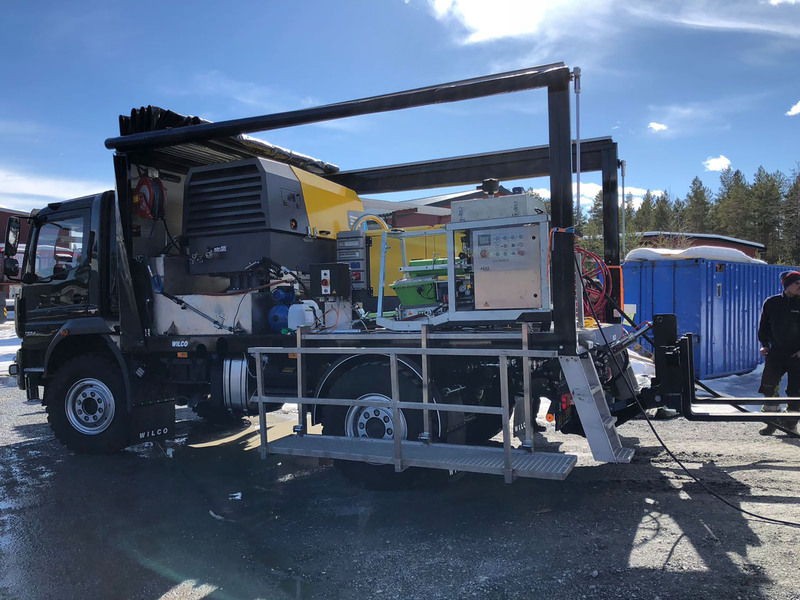 Spraying of concrete repair materials, grouting after geothermal depth drilling or during soil nailing, backfilling and tunnel boring are just the most common applications for this all purpose, high-tech spraying and grouting machine. 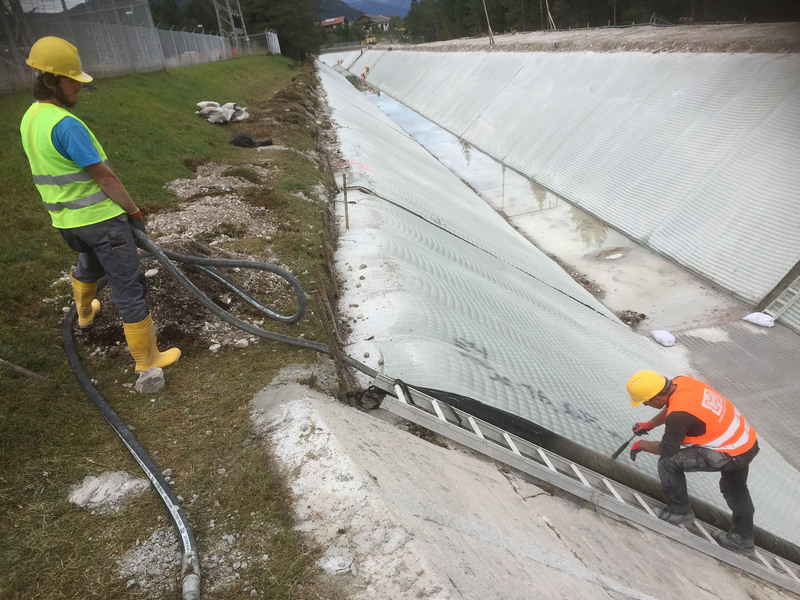 From simple shotcrete or slope protection to soil consolidation for tunnel renovation projects and geothermal injection work, the MAI®440GE grouter reliably covers it all. The application-specific adjustable grouting pressure and control flow programmes allow high-quality injections, including for grouting of tendons. 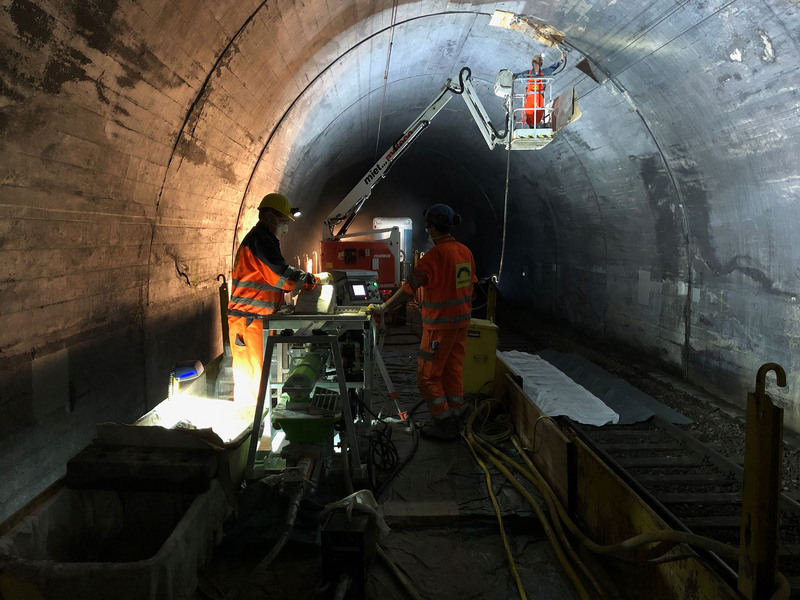 Every project is different so the operating parameters of the MAI®440GE can be individually customised according to your grouting and shotcreting requirements. 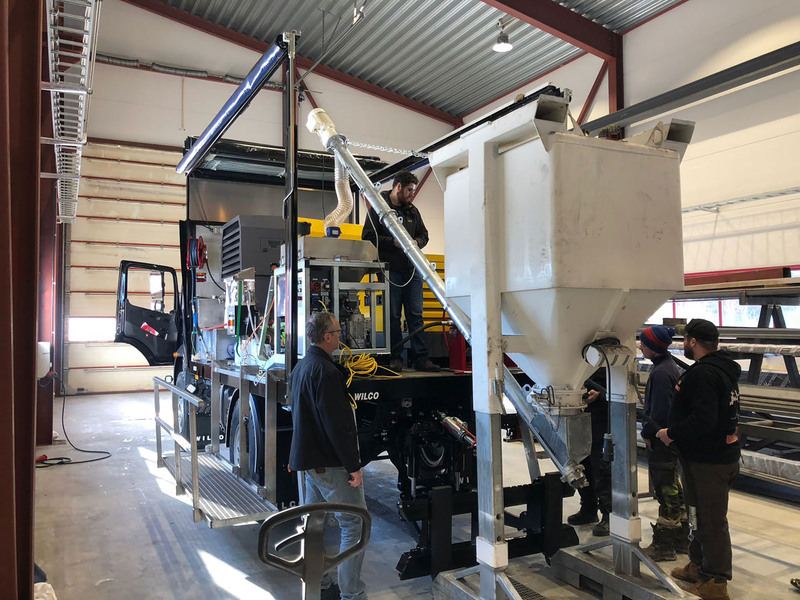 This grouting machine can be equipped with a compressor, different spray guns, filler guns, a hood for silo feeding, and pumps for chemical additives dosage. The MAI®440GE injection system has interfaces for the control of external devices including the MAI®LOG, MAI®DOS, MAI®FOG and MAI®MIX. 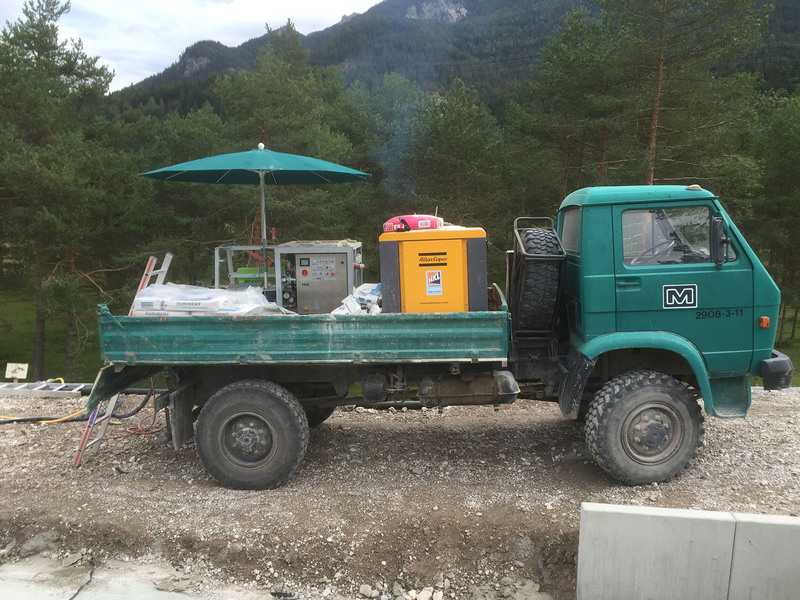 In particular, by adding the MAI®LOG400 data logging and data monitoring equipment to the system you can capture information such as pressure, injected volume, consumed water and time, making construction site billing very straightforward. You can even micro-bill while drilling is ongoing! 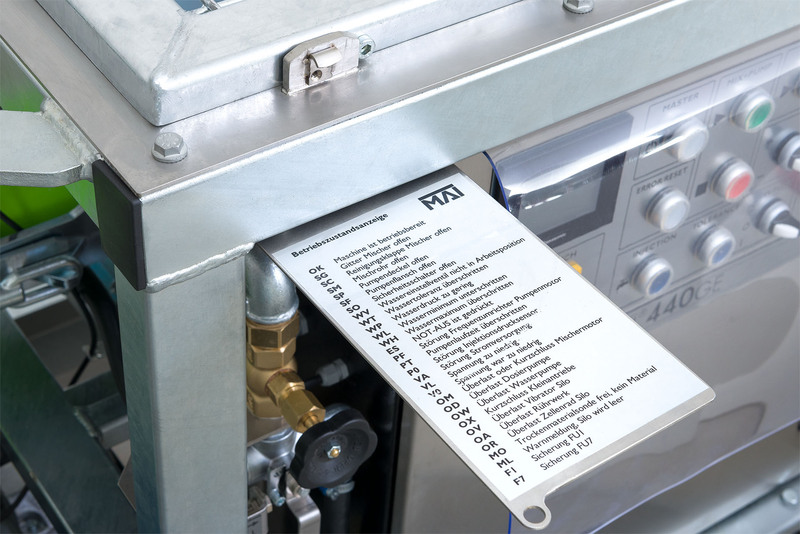 Compared to standard injection systems, the MAI®440GE is a real time saver. 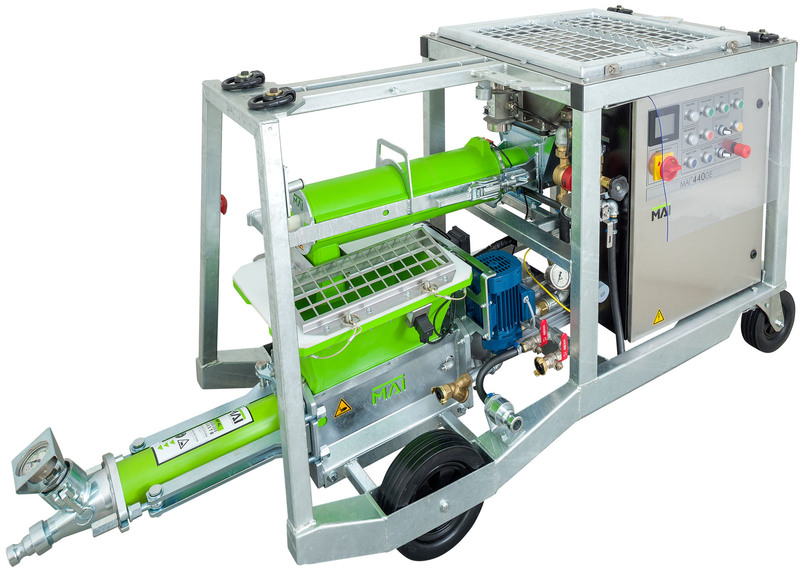 This grouting machine makes flow rates from 5 to 60 litres per minute possible at operating pressures of max. 45 bar and hose lengths up to 100m. At the same time, it is very easy to operate. 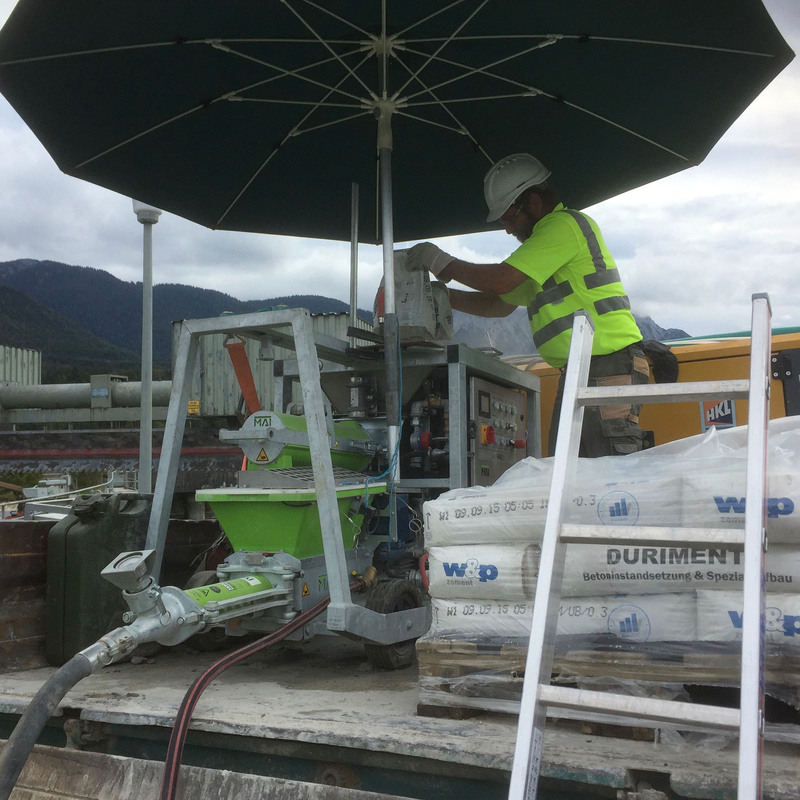 The system allows permanent visual control of the mix quality in the wet mortar area, making readjustment possible at any time. 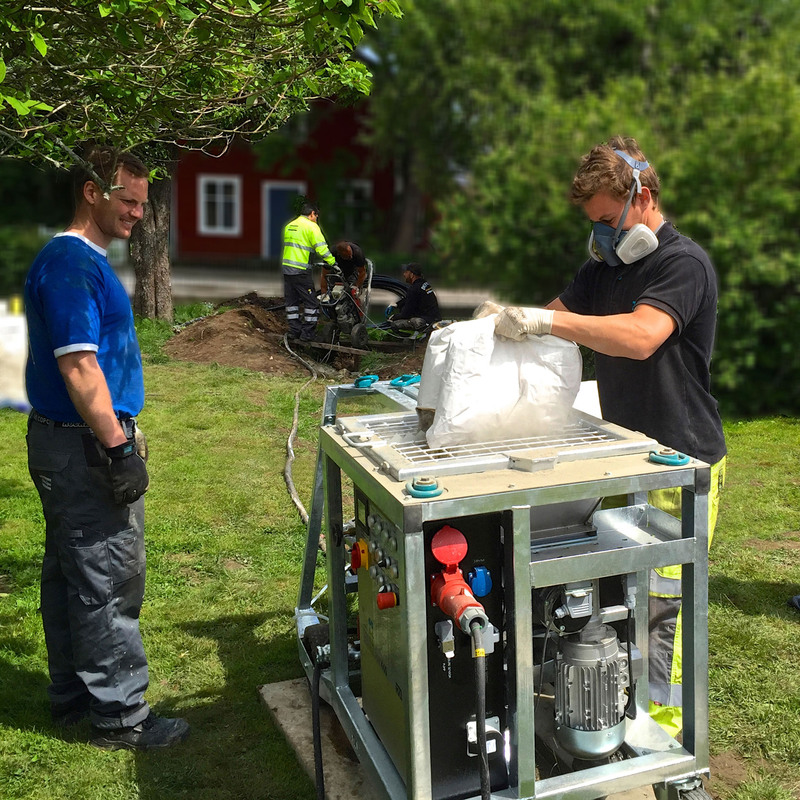 There is no settling or hardening of the mixed material as the agitator constantly mixes the material during work breaks and keeps it moving. The injection process and continuous mixing means no waiting periods and reduced errors, saving you time and money. 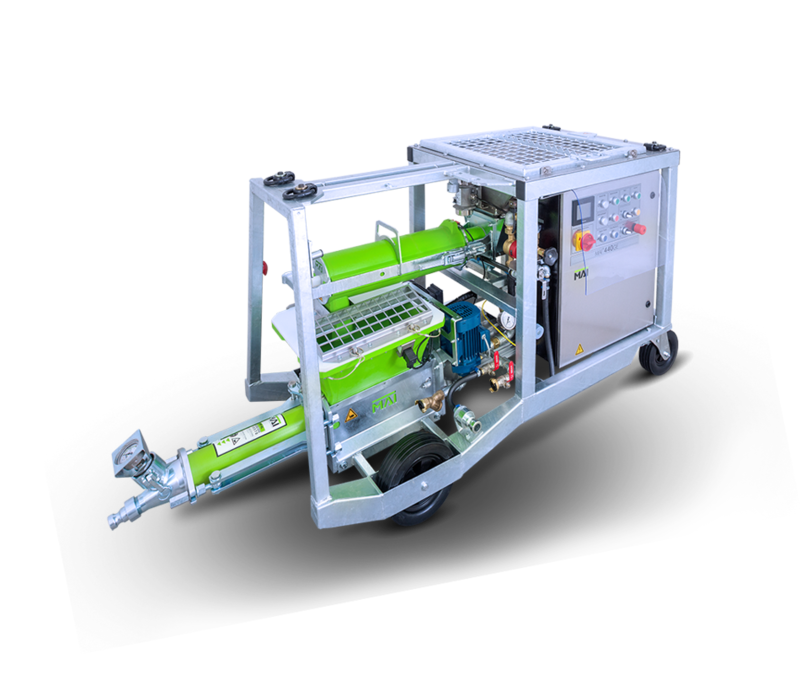 The simplified cleaning process leads to waste reduction, lower disposal costs and higher machine efficiency. 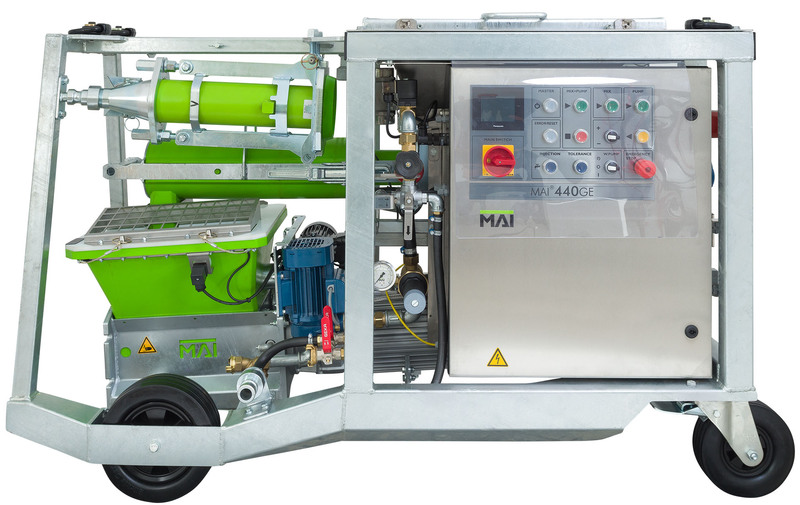 The MAI®440GE grout pump is also designed to be sustainable due to the use of stainless steel components, a galvanised frame and wear resistant MAI®Codur synthetic components. 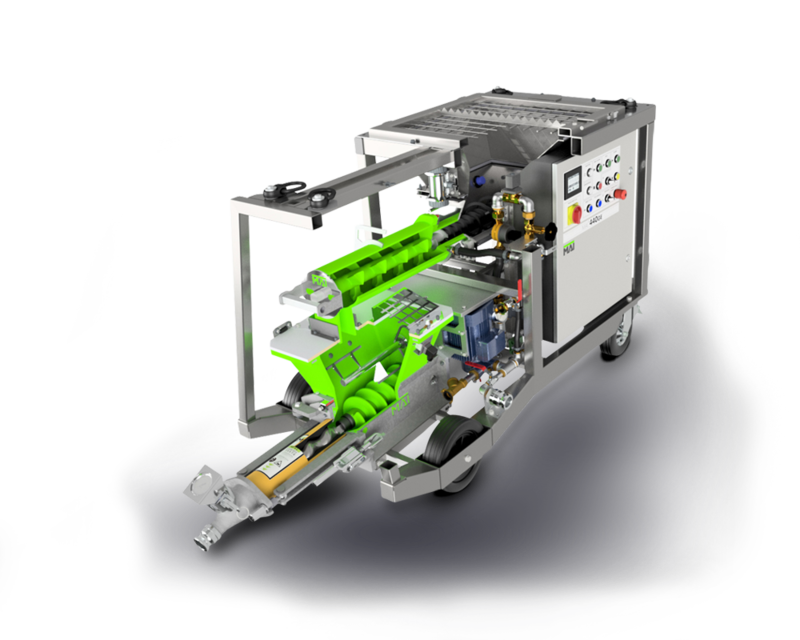 Download the brochure to find out more about this high quality, universal grouting machine.